Brockbank's Spirit Day Continues with "Hippie Day"
For Brockbank's Spirit Day on Thursday, January 27 it was "Hippie Day". Read more about Brockbank's Spirit Day Continues with "Hippie Day"
Wednesday, January 26, for Spirit Week it was "Backwards Day". Several students wore their shirts and jackets backwards, some even wore their pants backwards. Brockbank Spirit Week Continues with "Crazy Hair Day"
Tuesday, January 25, to continue with Brockbank's spirit week activities, Brockbank had a "Crazy Hair Day". There were some very creative hair dos, both boys and girls alike. Read more about Brockbank Spirit Week Continues with "Crazy Hair Day"
Happy Birthday Brockbank! 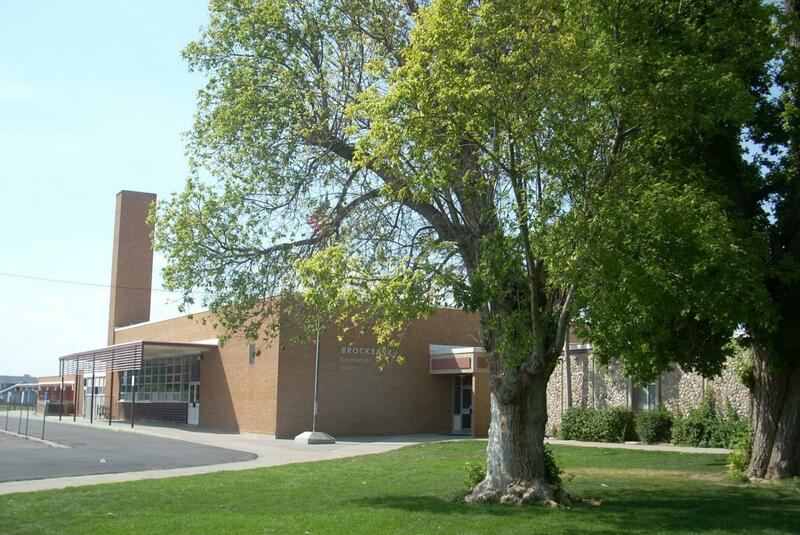 Brockbank celebrates its birthday each year by hosting School Spirit Week. During this week, January 24-28, students and staff celebrate by dressing up according to a different theme each day. On Monday, Jan. 24 it was "Vacation Day" students and staff got to dress like they were going on vacation to one of their favorite places. Brockbank Fifth-Graders Earn "Reading Reward Activity"
Brockbank fifth-grade students were recently rewarded for meeting their reading goals with a fun activity. They divided into groups and went outside and made sculptures in the snow using various objects and food color mixed with water to make the snow colored. It was a fun activity and a great reward for working so hard. Read more about Brockbank Fifth-Graders Earn "Reading Reward Activity"
Brockbank Fifth-Graders Enjoy Learning About Chemical Reactions! Kirsten Taylor, a representative from Discovery Gateway, recently visited the fifth-grade students at Brockbank Elementary. The students enjoyed a fun science lesson on chemical and physical changes. After a demostration from Ms. Taylor, the students were then able to conduct their own chemical reations. It was a very fun way to learn! Read more about Brockbank Fifth-Graders Enjoy Learning About Chemical Reactions! Brockbank first-graders in Mrs. Lisa Bird's class read the book, "Growing Vegetable Soup". The students then got the opportunity to make their own soup. One of the most important things they learned when getting ready to make the soup was that you need to make sure and wash your hands with soap and water. When it was their turn to help the students were told to recite the alphabet to themselves while washing their hands. The students learned how important it is not to spread germs so they wore gloves on their hands and hats to cover their hair. Brockbank first-grade students recently spent an afternoon giving back to the community. Their teachers had shared with them the story of "Listen to the Wind" by Greg Mortensen and Susan Roth. This story is about boys and girls in Pakistan who built their own school with the help and direction of Greg Mortensen, an American nurse who had come into the country for humanitarian purposes but lost his way on a journey. He found himself lost, sick, and injured in the mountains where a small mountain village took him in and nursed him to health. Ms. Alyson Tobler was recently awarded the Horace Mann Crystal Apple Award at Brockbank Elementary. Ms. Tobler has taught Special Education at Brockbank School for 11 years. She has a wealth of expertise concerning students with learning disabilities and has had many, many success stories. A teacher with a passion that all students can learn, Ms.
Brockbank Second-Graders Celebrate Christmas in January! 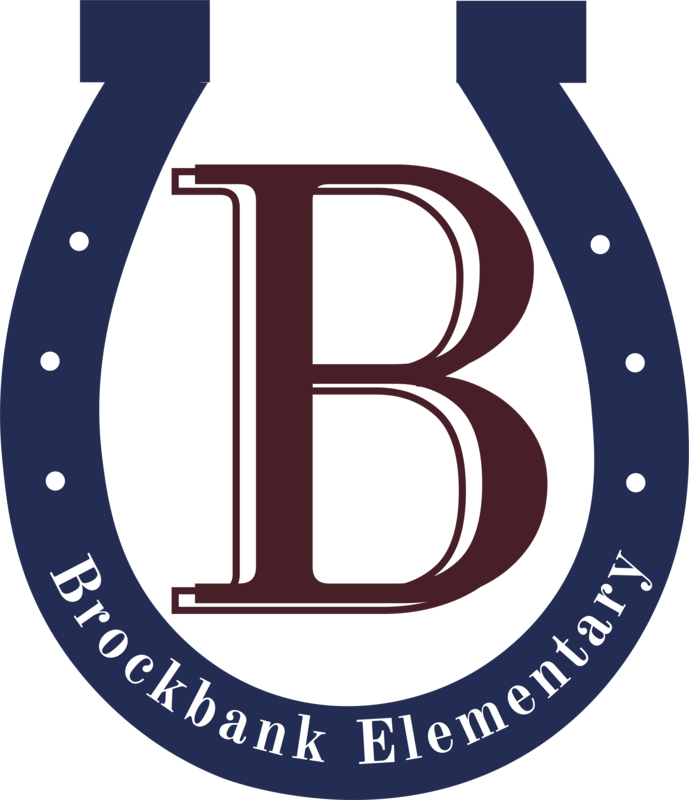 Second-grade students at Brockbank Elementary celebrated the Christmas season in January this year by presenting a special program on January 4, 2011 to their parents and grandparents. The students had worked so hard getting ready that even a snow day and the fact that Christmas was over stopped them from entertaining their families by singing several Christmas songs. After the program, the students and their parents returned to their classroom to decorate gingerbread houses. It was a fun day! Read more about Brockbank Second-Graders Celebrate Christmas in January!